DOWNLOAD: Don’t Shoot the Puppy! 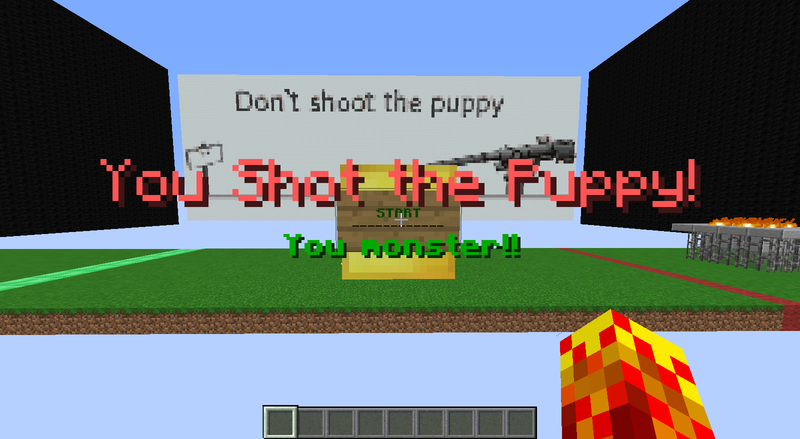 I recreated the popular flash game ‘Don’t Shoot the Puppy’ in Minecraft! The goal is very simple. Don’t shoot the puppy. This is not a multiplayer compatible map. Set your FOV to 100 and render distance to at least 8. 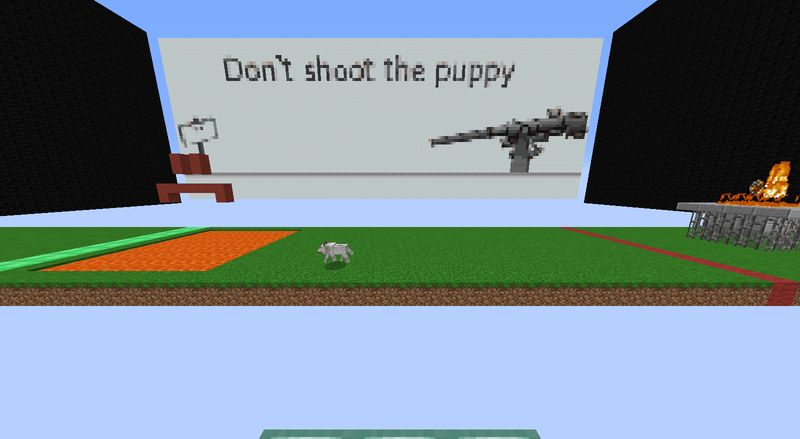 Description: Don’t shoot the puppy! Do whatever it takes to not shoot the puppy. Average gametime: As long as it takes, depending on your patience.